Apple has announced repair costs for the iPhone X, with AppleCare+ fees remaining the same as other phones, but out of warranty fees commensurate with the higher retail price of the phone, and similar in price to screen repairs on the Galaxy S8 with Samsung parts. Two updated repair documents were posted by Apple alongside the iPhone X pre-order on Friday morning. Where an out-of-warranty iPhone Plus-model screen repair costs the user $169, the iPhone X costs $279. Other incidents without AppleCare+, including water damage, cost $549 for the iPhone X, versus $399 for the iPhone 8 Plus and $349 for the iPhone 8. AppleCare+ for the iPhone X retails for $199 for the iPhone X, and must be purchased within the first 60 days of service. The extended warranty extends coverage to two years from the original purchase date of an iPhone and adds up to two incidents of accidental damage coverage, each subject to a service fee of $29 for screen damage, or $99 for any other damage, plus applicable tax. Repair costs for the Samsung Galaxy S8 flagship's screen with genuine Samsung parts at launch were about $300 in the U.S. and haven't notably decreased since. In September, Apple raised the price for not only AppleCare+, but for out of warranty repairs as well. The plan increased from from $129 to $149 for the iPhone 6s Plus, 7 Plus, and 8 Plus. Out-of-pocket, non-warrantied screen repairs for the iPhone 6 and SE are $129, up from $99 before the September increase, while the cost for the iPhone 6s and 7 is up $20 to $149. Jeez. Buy fancy things, pay fancy prices. Welcome to OLED world. As a third party repair tech I could have told you this (not the dollar figure of course) as soon as they announced oled. The OLED galaxy screens are incredibly expensive. 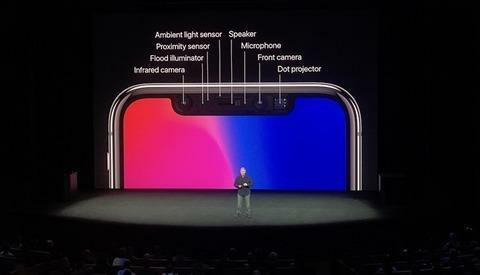 I wonder if that also includes all the sensors in the notch as part of the display component. Unknown, but if so, then that would make perfect sense. I bet it does...Yes the screens are expensive, but this would really validate the price and make sense. If it makes repairs easier by just replacing one piece instead of taking this and that out, removing brittle ribbon cables etc then I'm sure Apple would do something like this. I love how on other forums people think its just Apple basically cashing in on repairs for this device. I don't think people really understand iPhone X and whats actually inside it. Its not just an iPhone 8 with an OLED screen and some fancy front camera. If you want advanced technology then you're gonna have higher than normal repair costs. Have fun with your Mercedes phone! 1) Yeah, I was too passive with my original comment. I'd be surprised if the notch components aren't screwed and glued* to the display. 2) We see it all the time on forums. If Apple charges more it must be because they're more greedy than Android- and Windows-based vendors that have to compete amongst themselves and push crapware to try to eek out a minor profit, but if Apple charges less it means that other vendors are selling better products. We also see the superficial comparisons to clock speed, number of cores, and RAM capacity without any concern for important aspects like OS and component power efficiency and performance. Apple simply can't win with those people except when talking about the past where they may throw Apple a bone (e.g. : the last good x Apple sold was in y). * That sounds more gross than I intended. $199 annual insurance policy with a $29 co-pay to save $51 on screen doctor visits that might never be needed, isn’t worth it. I’d rather put $279 in a shoe box for emergencies and avoid the annual fee. Update: readers below tell me that AppleCare lasts 2 years not one. That’s not so bad, but the shoe box still seems like a good alternative. $199 annual insurance policy with a $29 co-pay to protect you from screen doctor visits that cost $279, isn’t worth it. I’d rather put $279 in a shoe box for emergencies and avoid the annual fee. To be clear, it's a one-time fee—not an annual charge—for the additional year of factory warranty coverage. You also get up to 2x display replacements per year from your purchase* date for those 2 years. * Purchase date is based on when you receive the device, not when you pre-order or even when your card is finally billed. AppleCare+ lasts more than 1yr. Nobody makes you buy a new phone every year. The first time something happens it basically pays for itself with the exception of a screen replacement. I thought Apple Care was an annual fee. My bad. Also, if you don't keep your device with AC+ for the full duration* you can get the difference prorated refunded. * For most products AC+ is 2 years, but for the Hermes and ceramic Apple Watches it's 3 years (which is still just an extra year over the factory warranty). No, AppleCare+ takes the standard 1yr warranty (and 90 days telephone support) and extends to to 2 yrs total (parts, labor, and phone support) and, adds on accidental coverage as well. So, when you purchase AppleCare+, you're purchasing an extended warranty from Apple and adding on accidental coverage as well. Also, as @Soli said, you can get the difference prorated. I believe AppleCare+ is also transferrable, so if you sell your device, you can transfer the coverage to the new owner. A lot of times, this can increase the value of the device versus if you didn't have it. Gives the buyer a little more security when purchasing it knowing if there are any issues, they can take it to Apple and for a minimal cost (if not free), get it repaired. Some credit cards give you 1 extra year of warranty for free. Is AC still necessary if you are careful with your phone? Necessary isn't an adjective I'd use with anything Apple (and most company's products) sell. I never use a case and have nearly always get a new iPhone after 1 year but I've been getting AC+ since they started it. It all depends on whether the insurance is worth having. Additionally, I'm also a AAA Platinum member despite my car having its own roadside assistance and I have the best possible coverage allowed in my state despite never having caused an accident. For me, the peace of mind gained by various insurance options are worth the minimal expense. If there's one type of extended coverage that I do recommend people look into. That's their HDTVs since the duration in which people use a TV, the upfront cost for the product, the difficultly in transporting it to a repair shop, cost for even shipping to to a repair shop, the cost for the repair, likelihood of an eventually picture failure, the low cost of getting a 4–5 year extended warranty where they come out to your home to fix or replace, and the extra value of being able to sell it after a few years with a year or more of a transferable warranty in place makes it worthwhile to me. Is AC still necessary if you are careful with your phone? This is a smidge annoying/short-sighted. Do we need car-insurance if we drive carefully? Life insurance if we don't rock-climb? This is what I do. I buy the phone for full price upfront, rather than on an installment plan with a carrier. There are several reasons. First, the price ends up being the same by the end. (I'm not including options like the annual upgrade plans in this calculation, because I like keeping my old phone for a backup and for development work.) Second, my credit card doubles the existing warranty, up to one year (for anything purchased). In the case of an iPhone, this always just adds one year to the warranty (ie, the max allowed by the card). So your phone will have warranty coverage for 2 years (w/o AppleCare+) or 3 years (w/ AppleCare+). If the device breaks and you need to replace it, you can use AppleCare+ if it's still active, or the credit card's additional year. If the latter, then the way it works is that the credit card company will simply refund the cost (ie, what you've *paid*) to your account, and you can then use that money however you want (presumably to buy a replacement). But imagine what happens if you don't get AppleCare+ and your phone breaks in the 13th month. You'll be out of coverage from AppleCare+, and your credit card coverage will apply. If you were paying on an installment plan, then the credit card company would credit you for only what you've pad so far. For the 256GB iPhone X on AT&T installment, this would be $47.88 x 13 = $622.44. If you had paid the full price upfront, the credit card company would credit you $1149. Precisely. It's an unwritten rule that when you have a top-of-the-line Mercedes or BMW you don't whine that it costs 4x to fix than a Honda Civic. You want to run with the big dogs, you've got to lift your tail a little higher. You don’t get 2x display replacement per year for 2 years (4 incidents)—you get 2 incidents of screen or other accidental damage coverage total, for the entire two year period. Incidents are screen ($29 copay vs $279 without AC Plus) or other damage ($99 copay vs $549 without AC Plus). Even one incident of screen damage makes AC Plus worth it. Two other incidents can set you back $1100 without AC Plus, $400 with. Personally, I would get it. It depends on your individual situation though. You’ve got to check any credit card coverage carefully. If it doubles your factory warranty, you’ll have 2 years of factory warranty coverage. And possibly no accidental damage coverage, unless your card offers that. AC+ does both—doubles factory warranty to 2 years (with no copays) and gives you 2 years of accidental damage coverage (2 incidents max, copay varies on type of damage). If if you get AC+, I’m not at all sure a credit card plan gives you a third year of coverage, unless you’re saying your card adds another year to an extended warranty coverage purchase (it might). But year 2 is covered by your AC+. There is no 13 month/out of coverage of AC+ scenario that you mention above, since your original AC+ purchase covers the first 24 months, for both factory warranty and accidental damage coverage.